You're not going to show off your portfolio on an Apple Watch, but there are a few photographer tricks that come in handy. Here are my favorites. This app is included with the watch and adds functionality to your iPhone camera. You can find it by looking for the gray icon that shows a shutter release. And that's its primary function: allowing you to remote release the camera on your iPhone. But if you explore it a bit more, the Camera App Companion has other tricks up its sleeve. For example, once it displays what the lens is viewing on the watch, you can change the focus point by tapping the area you want focused on the watch face image. If you tap and hold, then a menu appears that allows you to change to the FaceTime camera, adjust the flash setting, control HDR, and even turn on and off Live View. For single shot images, tap the shutter button on the watch face. For burst images, tap the 3s icon. So, essentially, you have a full remote control for your iPhone camera. Combine this with a portable stand or tripod mount, and you can substantially expand its capabilities. If you shoot with the DxO ONE camera, then you can also use your Apple Watch to remotely trigger that camera when it's connected to the iPhone. The Apple Watch app comes bundled with the iOS version of DxO ONE for the iPhone. With this configuration, you now have a full 1" sensor that can be remote released for long exposure shots or for compositions that require some separation between you and the phone. It's a handy bonus always having a remote release on your wrist. Other apps that have watch compatibility include ProCamera, ProCam 4, Camera Plus, and Hydra. If you have any of these apps, and they are not showing on your watch, simply go to the My Watch app on the iPhone, scroll down the list of iOS apps, tap on the app you want to enable, then move the slider to green for: Show App on Apple Watch. Soon after that, the watch app will appear in the software cluster on your device. You can add it to your dock if you plan on using it often. Once I realized the additional capability that I have with the watch interacting with my camera phone, it expanded my use of the iPhone itself. If nothing else, always having a remote release is really handy. With the introduction of the Accent AI filter in Luminar Neptune, you can create what Macphun calls the "Quick and Awesome" workflow that yields beautiful images quickly. Photos for macOS users have it even better because Luminar is also an editing extension for their host application. So not only do you get the built-in tools in Photos, but you can tap the additional power of the rapidly evolving Luminar. Here are the steps. Open your image in Photos, then press the Return key to enter Edit mode. If you have a Jpeg/RAW stack, switch to RAW mode via Image > Use RAW as Original. Click on Extensions at the bottom of the tools panel, and choose Luminar from the popup menu. Once the file opens in Luminar, choose the Quick & Awesome Workspace (as shown in the illustration below). Use the Boost slider in the Accent - AI filter to adjust your image. Tap Save Changes to return to Edit mode in Photos. Once you back in Photos, you can use the M key to toggle the before and after. You can continue to refine the image, let's say adding Definition or Sharpness, if desired. But it probably won't need much. 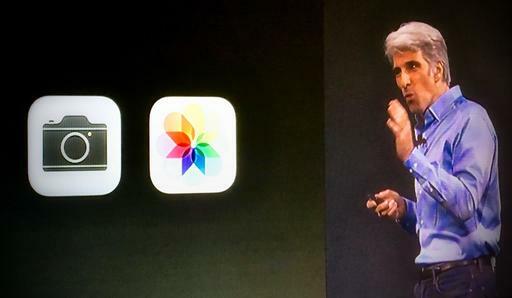 Then, thanks to iCloud, your awesome photo will be updated and live on all of your devices. This is a wonderful, powerful, and to be honest, fun workflow. If you haven't explored Luminar Neptune yet, I highly recommend it. This is the update that many Luminar users have been waiting for, Luminar Neptune. In addition to the features that I'll cover in a minute, this version runs faster than the previous Pluto that we've been using. And that speed is exactly what this app needed. But there's plenty more as well. Take a look at this highlights list. Accent AI Filter - Uses artificial intelligence to improve images with a single slider movement, tapping into the power of dozens of filters all at once. Quick and Awesome workspace - A workspace consisting of the Accent AI, Saturation and Vibrance, and Clarity filters. Great for achieving fast results in a fun and easy way. Plug-in integration with Creative Kit and Aurora HDR 2017 - Seamlessly access Macphun's other photo editing tools you own with Luminar as the host application. Brush, Gradient, and Radial Gradient tools - Dramatically faster performance yields smoother selective editing. Vignette filter - Addition of Vignette Styles, Place Center and Pre- and Post-Crop modes deliver even more flexibility to this popular photo finishing tool. Memory management - Increased overall performance for large files and 5+ simultaneous open images. User Interface changes - Extensive improvements to in-app animation and mode transitions make for a more pleasing editing experience. Crop tool update - Added the ability to specify custom crop ratios. Local history - Provision for reviewing separate history while in Transform, Denoise, Clone and Stamp modes helps optimize editing. In terms of features, the Accent AI Filter is at the top of the list. The Accent AI Filter uses artificial intelligence to analyze different areas of an image based on its structure, objects, dark and light zones, colors, and other parameters. As a user moves the slider, the filter intelligently and automatically "understands" what each area on the photo is lacking, then improves it. Moving the slider can also adjust the intensity of changes, making the picture look more natural, or revealing a more dramatic look, depending on the desired effect. Luminar Neptune works great as a standalone app, and editing extension for Photos for macOS, and as a plugin for Lightroom. Earlier today, I read a ACDSee Pro for iOS review by Quentin Decaillet on Fstoppers. I wasn't familiar with this app, but the fact that it could capture and process in RAW caught my eye. So I ponied up the $6.99 and took it for a test drive this morning around my garden. Quentin was right, this is a terrific, robust, and easy to use app. There are three different compression settings for Jpeg, plus DNG RAW. There's practically every basic setting that you could want, and they're easy to find and use. The metadata readouts are outstanding (one of my complaints with normal iPhone photography). The Summary screen provides a histogram, basic EXIF, and location data. If you want more, just go to the Metadata tab for the comprehensive readout. Tap the Edit button to enhance your image. In addition to all of the usual suspects for adjustments, you can create your own presets as well. I also appreciate the Undo and Redo buttons as I'm working through the corrections, plus I can tap to see the original shot. Images captured in RAW, unprocessed, show up in my Photos library as RAW files. Very nice. If you want to learn more about ACDSee Pro for iOS, I recommend reading Quentin's review. This is a terrific app. Ah, the dream. To be able to manage my Instagram account from my computer as well as my mobile devices. Well, it's still a dream. I took App for Instagram for a spin. What did I have to lose? There's a free version available in the Mac App Store. It's fine for viewing what's going on. You can like images and comment as well. Your profile page is also available. So you can see how people are responding to your shots. So for all of those niceties, the price is right. However, if your hope is to post to Instagram via your computer, this app is not the ticket. Even if you upgrade to the Pro version for $4.99, that feature isn't listed. Now before you send me email about this being prohibitive on Instagram's end, yes, I understand that. And there have been workarounds. And they have eventually been thwarted. So we can wonder and hope. And that's what I'll continue to do. 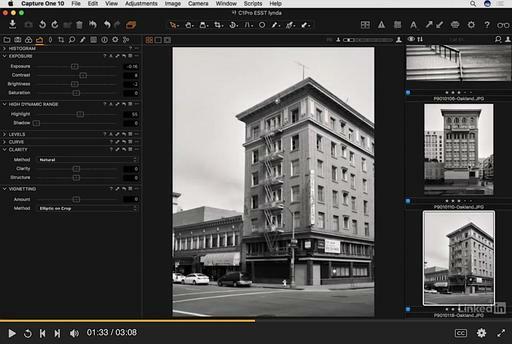 When most photographers think of Capture One Pro, they envision sophisticated color and tonal controls. And that's true. But it isn't the whole story. Thanks to the just-announced downloadable Styles packs (otherwise known as presets), and built-in time saving controls such as Auto Adjust, Capture One can provide quick edits as well as sophisticated color grading. Let's take a look at how Auto Adjust works. And the best part is, as shown in the video, you can turn on and off the adjustments that you want Auto Adjust to use. Plus, you can set up Capture One to apply Auto Adjust during the import process. Very handy, and there waiting for you to use right now. This is The Digital Story Podcast #587, June 6, 2017. Today's theme is "WWDC Keynote from a Photographer's POV." I'm Derrick Story. If you were in San Jose for the 2017 WWDC Keynote, I sure hope you didn't drink too much coffee beforehand. This year's presentation was a marathon 2.5 hours, covering Apple TV, the Mac, all the OSs, Apple Watch, iPad and the brand new HomePod. And thankfully for us, there was a little photography mixed in there too. And that's the focus of today's show. One of the good things about having Photos as part of the operating system, is that you know there's a good chance for news at Apple's developer conference. And indeed that was the case this year. But there was more than just a Photos update. So let's take a closer look at the keynote presentation from a photographer's point of view. New Adjustments in Photos for macOS - Photos received a reasonable amount of airtime on stage. More machine learning organization, as I anticipated. But a few unexpected surprises included the addition of curves, selective color editing, and synchronized adjustments with third party apps. Apple has also upped its game with photo books. The UI for Photos for macOS also receives some polishing. Photos for iOS Goes a Different Route - If you're using an iPad or iPhone, Photos beefs up its Memories performance, which makes sense on a mobile device. New Memories include pets, sporting events, performances, outdoor activities, night out, wedding, anniversary, and baby. We also get new codecs for movies and stills. And speaking of movies, there's portrait mode as well. And finally, Live Photos received lots of attention with the ability to trim, select the key photo, mute, and three cool filters: loop, bounce, and long exposure. New iPad Pro 10.5" - Apple got super serious with the iPad, creating a super charger 10.5" model. Storage capacities are now 64, 256, and 512GBs. Lots of horsepower thanks to the A10X Fusion chip with 64?bit architecture and embedded M10 coprocessor. And the new ProMotion technology, increases the refresh rate to 120Hz. You will be able to choose the refresh rate you want, depending on the task at hand and how much battery you want to use. This also makes the Apple Pencil even more responsive and natural. Average configurations will run you between $700 and $1,000. Affinity Photo for iPad - Powerful hardware deserves equally robust software, and Affinity Photo has done just that, with the first fully-featured, professional photo editing tool to arrive on the Apple tablet. 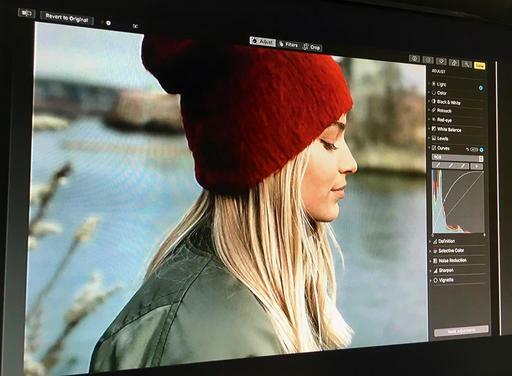 It features complete retouching tools, non-destructive adjustments, super accurate selections (the hair demo was crazy), raw editing, color spaces, HDR merging, and lots more. It's on sale now for $20, and it's compatible with iPad Air 2, iPad 2017, iPad Pro 9.7-inch, 10.5-inch and 12.9-inch. iMac Pro Later This Year - We also got a sneak peek at the upcoming iMac Pro (the most powerful Mac Apple has ever created). Will ship with 8-Core, 10-Core, or 18-Core Xeon Processor options. This workstation will be a blast for photo and video editing. The new iMac Pros will ship at the end of the year, starting at $4,999. Plus Apple is introducing an augmented reality toolkit for developers that should bring AR to our devices in the near future. As reported by DP Review. The video leaves little doubt that the whole thing was a PR stunt, with Mayor Peter Nicolay proclaiming 'the beauty of our village has become world-famous thanks to our friendly photography ban.' Judging by how quickly the story spread, the stunt worked exactly as planned. ImageFramer is used by artists, professional and amateur photographers, scrapbookers, framers, and people who simply want their family photos to look better. Create fine art cards that are unique. You're not stuck with the standard templates in Photos or other apps. Export images quickly by dragging and dropping to Finder or to desktop. Apple CEO Tim Cook, Craig Federighi, and the rest of the cast kept the audience waiting a few extra minutes before walking out on stage. But once Tim jogged into the spotlight, he and his crew had plenty to say. The next topic was Apple Watch. Kevin Lynch took the stage and introduced watchOS 4. Machine Learning makes a substantive appearance with the predictive Siri watch face. The watchface dynamically updates, depending on time of day and the data the watch knows about you. Plus, there's lots of new fitness stuff, as you would expect, and a redesigned Music app. But there was nothing specifically about Photos for watchOS 4 (maybe next time). Free upgrade for Apple Watch owners coming this Fall. Next up, was the Mac. The next macOS will be named High Sierra, with an updated Safari that features auto-blocking video (yay!). Safari will also apply machine learning to incorporate Intelligent Tracking Prevention. So those creepy ads that follow you all over the Internet can be eliminated. macOS High Sierra with launch a public beta soon, then be available for all users this Fall. If will run on any machine that can currently run Sierra. Much to my delight, Photos received a reasonable amount of airtime on stage. More machine learning organization, as I anticipated. But a few unexpected surprises included the addition of curves, selective color editing, and synchronized adjustments with third party apps. Apple has also upped its game with photo books. 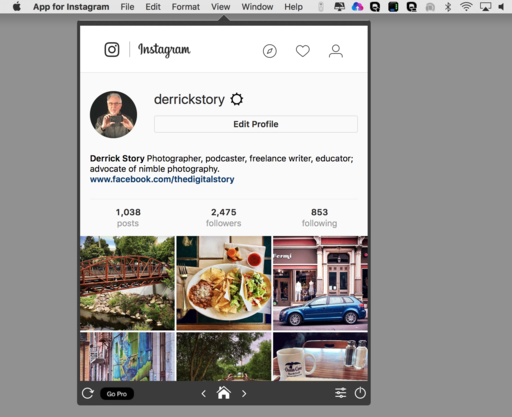 The UI for Photos for macOS also receives some polishing, as you can examine for yourself with the above illustration. All in all, this looks like a solid update to Photos. I'm looking forward to learning more of the finer details. As the keynote rolled on, Apple covered updates to the iMacs, MacBook Pros, with a new configuration for the 13" MacBook Pro that starts at $1,399. The MacBook Air seems to be sticking around as well. We also got a sneak peek at the upcoming iMac Pro (the most powerful Mac Apple has ever created). Will ship with 8-Core, 10-Core, or 18-Core Xeon Processor options. This workstation will be a blast for photo and video editing. The new iMac Pros will ship at the end of the year, starting at $4,999. On the iOS front, ApplePay will now work for person to person payments. Siri will be using on-device learning to start suggesting things that we would like. The Camera in iOS also gets an upgrade. On the photo front, HEIF provides better compression and quality (still sharable). Better low light capability for the camera as well. Photos for iOS sees plenty of improvement. We can select the frame we want in Live Photos to be the key image. Apple has also added effects, like long exposure, loop, and bounce, to our image editing options for Live Photos. Memories movies can be viewed in portrait orientation as well as landscape. And Apple has added more categories to Memories, such as pets, sporting events, night out, anniversary, and more. The introduction of AR kit will provide developers with sophisticated augmented reality tools, enabling them to develop apps and incorporate this technology into their existing software. A new tablet joins the family, the 10.5" Retina Display iPad Pro. Lots of performance improvements, including the new ProMotion, with refresh rate at 120Hz. You will be able to choose the refresh rate you want, depending on the task at hand and how much battery you want to use. This also makes the Apple Pencil even more responsive and natural. The Serif software chief walked into the spotlight, with an iPad Pro demo showing off their Infinity Photo software that performed every bit as well as something that you would see on a desktop workstation, but with the portability and tactile experience of a tablet. Serif demonstrated blend modes, lighting effects, and object selection (including hair!). The new iPad Pro will start shipping soon for $649 to $949. And with iOS 11 for the iPad, which is coming this Fall, users will get a Dock, a new App Switcher, and drag and drop functionality. A new app called Files will make organization so much smarter, not only on the device itself, but across iCloud and the other file sharing systems. And the Notes app gets a huge upgrade as well, thanks in large part to the enhanced integration of Apple Pencil. Phil Schiller returned to the stage to introduce HomePod. "Just like iPod reinvented music in our pockets, HomePod will change it in our homes." Crazy speaker technology controlled by an Apple A8 chip, that provides real-time acoustic modeling. No matter the design of the room, the HomePod will provide a tailored music experience. The speaker system can interact directly with Apple Music via audio commands ("Hey Siri"). It can provide all sorts of music-related information, what Apple calls a built-in Musicologist. Additional, the HomePod can play our podcasts, control our home, and provide general information. HomePod will set you back $349 when it ships. All in all, it was a marathon keynote presentation (2.5 hours), will plenty for photographers to sink their teeth in to.